The Indianapolis, Indiana based group Judah Band is bringing funky grooves and an edgy style to gospel music lovers throughout the U.S. 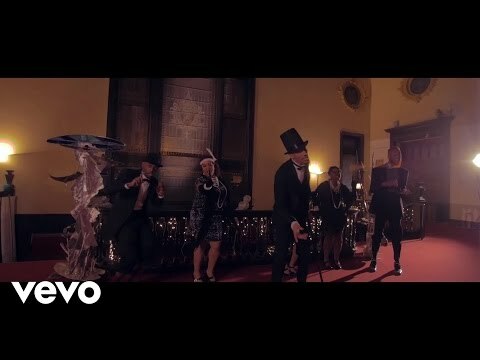 Founded by lead vocalist and songwriter G. Randy Weston, the group is comprised of five men and three women, several with ties to Indiana University’s IU Soul Revue including vocalist Chauneesha “Neesha” Lester and keyboardist and producer, Terrance “T Denn” Dennie. 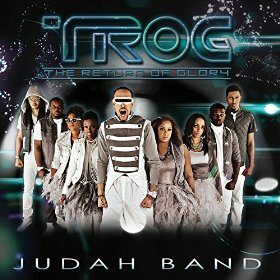 In March of this year they released their debut album TROG: The Return of Glory, a high charged collection of songs meant to inspire listeners to praise and trust God. While rooted in gospel and praise and worship music, this project is heavily influenced by the hard hitting electric guitar and drums licks of rock as well as the colorful electronic manipulated vocals prominent in contemporary pop music. This CD + DVD edition features songs from their live recording session at The Caring Place Church in Indianapolis. Using a decidedly futuristic, “secret agent” influenced style, the Judah Band outlines their mission as “restoring the reputation of God” by encouraging believers to broaden their view of the divinity of God and to worship Him in their own unique ways. The album opens with a declaration of their purpose and segues into the explosive track, “Get Up!” which features an exciting call and response led by Weston. While lyrically simple, the track features musical complexity with unpredictable rhythmic changes and unexpected, even disjointed harmonies. The songs on the first half of this project such as “Praise Your Name,” “Hallelujah,” and “God Can,” follow a general congregational praise and worship format with simple melodies, repeated text, call and response, and frequent modulations heightening the worship experience. Judah Band continues this walk down musical memory lane with “Free to Be Me,” which borrows from the 1950s dance craze popularized by Johnny Otis’s “Willie and the Hand Jive.” True to form, the singers perform the popular choreography and teach it to their energetic crowd during the musical interjections. A rather enthusiastic project, TROG is an impressive debut for this local group. Their infectious energy and playful style is likely to appeal to the young and the young at heart. Moreover, their willingness to fuse older musical standards with fresh energy and sounds make them a group to listen for in years to come. This entry was posted in Gospel Music and Spirituals, Popular, Rock, and Misc. by aaamc. Bookmark the permalink.